Heavy foot-traffic areas are prominent throughout Santa Clarita - and drivers not only forget that pedestrians have the right of way, but that pedestrians are not afforded the same protections as drivers inside vehicles. In fact, pedestrian accidents are among the leading causes of fatal roadside accidents in the entire nation - and fatalities continue to increase. 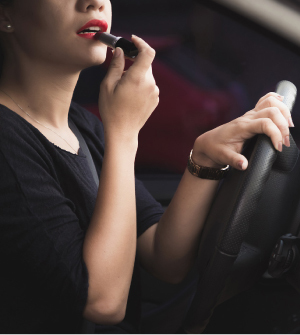 Catastrophic injuries, including brain injuries and spinal cord injuries; broken bones, fractures and contusions; traumatic neck, back and spine injuries; paralysis or quadriplegia; loss of limbs; and death - these are all-too-frequent results of distracted driving. We live in an age in which drivers are constantly barraged with technology and distractions. Although there are strict laws that forbid the use of hand-held devices while driving, many drivers still use cell phones or send texts. Fatalities and injuries can happen in a split second and it is this type of careless behavior that your legal team should seek out to correct by seeking justice. 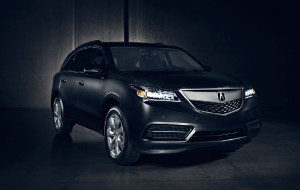 For model years 2014-2017, Acura MDX was named as one of the 10 Must-Shop Certified Pre-Owned Luxury Cars for 2018 by a major auto industry media outlet. This is the second consecutive year for MDX to receive this accolade. An Acura Certified Pre-Owned Vehicle is as close to a new car as possible, complete with benefits such as warranty, roadside assistance and concierge services to name a few. Perhaps the most important thing to know is that not every vehicle is eligible to become a Certified Pre-Owned vehicle, and every vehicle that is eligible must pass stringent measures before it can become certified. Vehicles must be under six years old with less than 80,000 miles, have a 12-month/12,000-mile Certified Limited Warranty and services must be up to date. Each vehicle is reconditioned inside and out to create a certified luxury ownership experience. These elite vehicles must also pass a comprehensive 182-point vehicle inspection and a Vehicle History Report review. Virtually every mechanical system, from the engine to the door locks, is checked and serviced to meet precise specifications and a thorough appearance inspection scrutinizes fit and finish to ensure the vehicle upholds the luxury and sophistication of the Acura name. Upcoming services are identified and performed during inspection and new floor mats installed. Every owner of an Acura Certified Pre-Owned vehicle is entitled to a free membership of Acura Owners - the official online source for service reminders and other owner information, services and parts. What's more, Acura Certified Pre-Owned vehicles are covered by an extensive Roadside Assistance program and owners receive the same great concierge services as new Acura owners with a suite of useful services for security and convenience during the 12-month/12,000 mile limited warranty period.